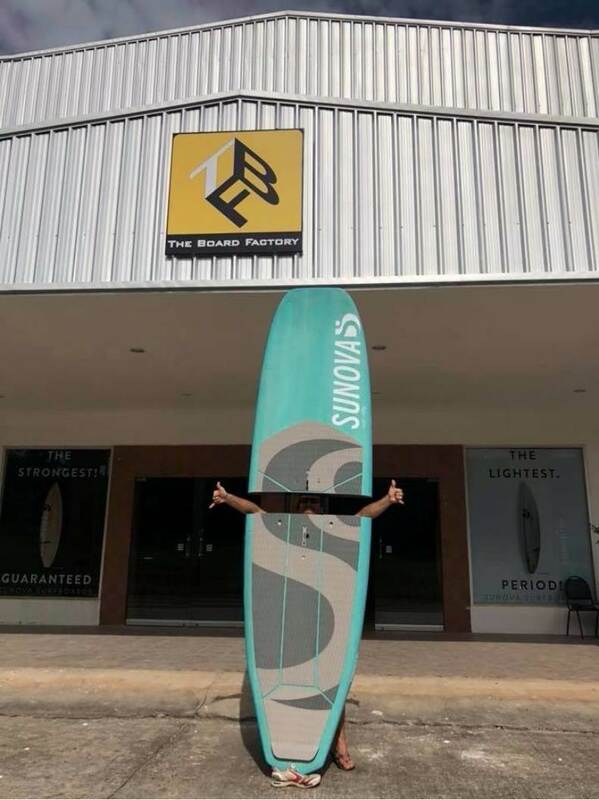 Just saw this on the Balmoral Paddle Board Facebook page. Break the nose? Buy a new front! .....or you want some variety. E.g. Speeed Back end with the option of a Speeed front or with customised pulled in nose option. They was a guy selling and surfing these a few years ago, good bit of kit. it is his daily driver... he loves it! That will be a great test of durability! While in Thailand, I surfed an 8'10 Speeed - 2 piece in OH waves. It's the only way to get exactly matching halves. Then they put the system in..... including adding a additional gortex vent to the rear half. You just nailed it there Creek. Air travel. The options are endless. 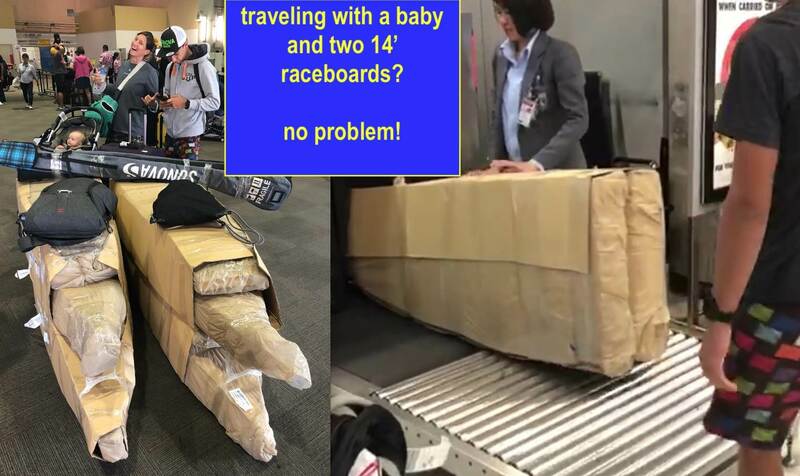 good innovation for those travelers. i just brought a new handsaw and two bars . which one should i cut first .? why hasn't any one invented a fixed screw together paddle ,like a pool que. thinking of that ,,,things just wouldn't line up . 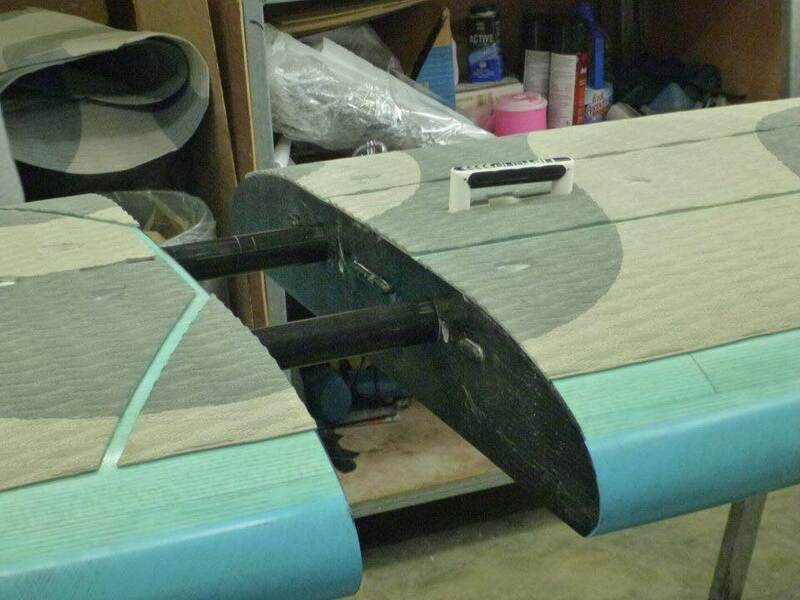 On the "zone" I was chastised for adding a couple of FCS2 fin boxes to my Sunova Skate because it would change the flex of the board and that Bert would have a "bird" when he found out.....now I see he is cutting his boards in half....won't that change the flex??? ....Seriously though ......I think this is a fantastic idea! They had one on our Maldives trip. It was a surf board - a long, thin nose rider - and it seemed to work a treat. Both James C and Bert were riding it and it held up fine - and both of them put it under some serious strain. 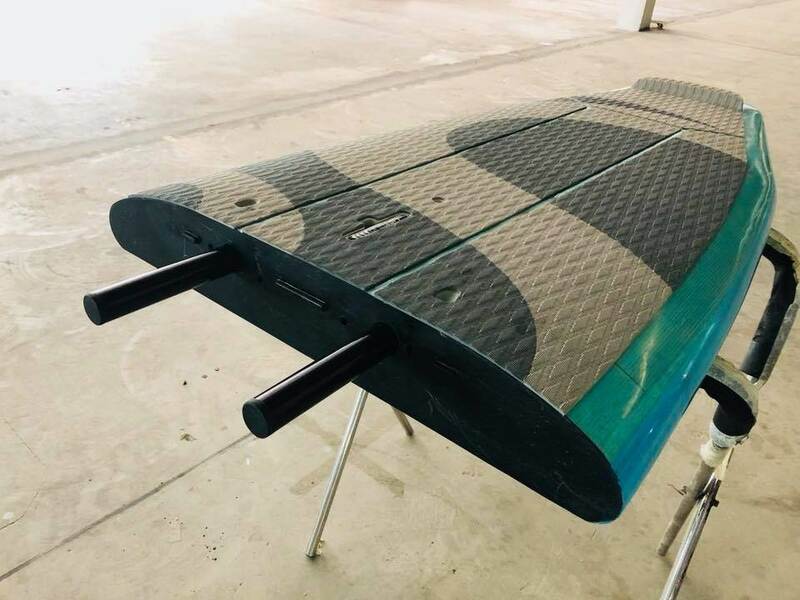 As has been said, for travel, and for people who don't have room at home for longer boards, and for people who struggle to lift a normal board onto roof racks, this could be a perfect solution. And Tardy, I have a three-piece Quick Blade paddle that fits together and is fastened with an Allen-key. Works well. how does it compare to a full shaft . 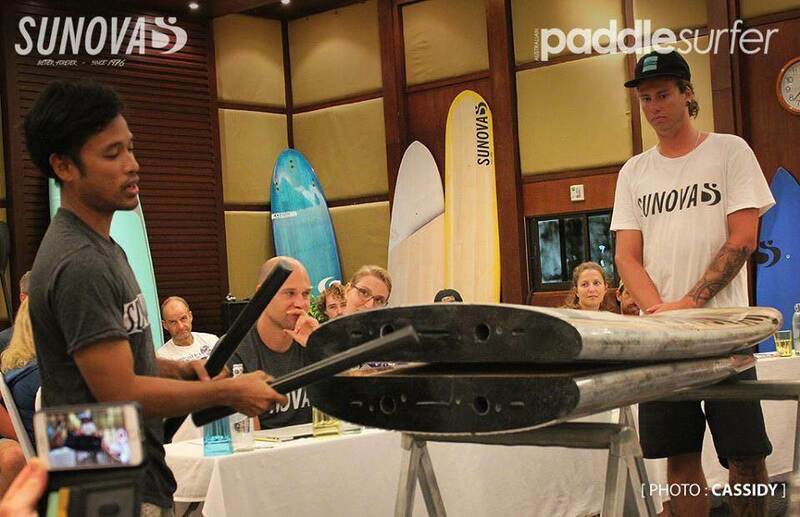 i also think this board is a great idea ...it sure will make travelling the world with a SUP a lot easier . If you could connect those two joining rods together with a short length of chord that'd make a handy set of nunchucks to beat off angry proners with too.